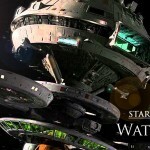 As part of the TToT15 Blog Like a Boss challenge, I present another Watchtower Universe focus. 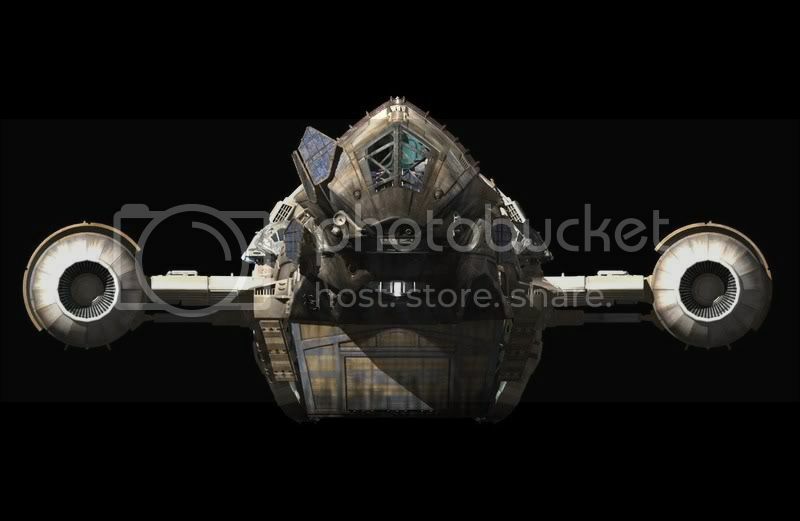 The Étoile Cheval is a second civilian ship set within my Watchtower Universe. However, its master and commander is one Beatrix Knight, aka Beks, who worked as a bounty hunter and finds that despite her best intentions cannot escape the clutches of her past life. The story begins with a bounty that goes wrong as a criminal overlord sets out to silence a potential witness and in the crossfire is the crew of the Étoile Cheval. 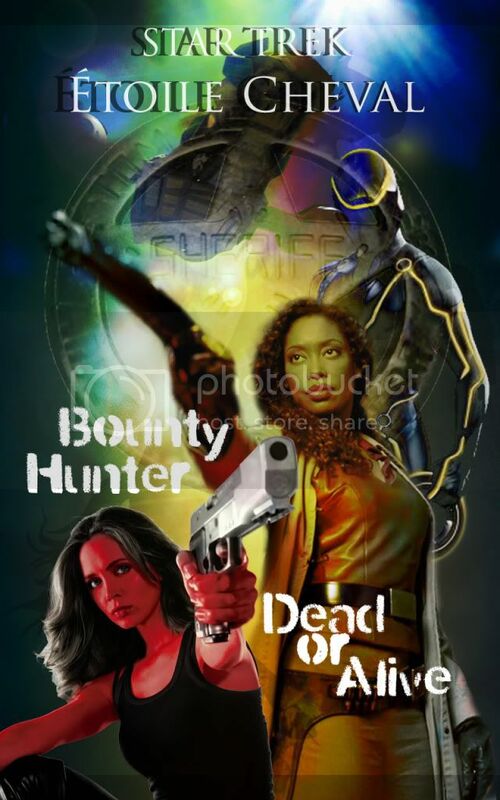 The opening story ‘Dead or Alive’ finds Beks and her bounty partner Jodhaa chasing down a perp on a rain soaked night. But what ought to be a simple catch and bag bounty turns sinister swiftly when they discover that the bounty has more than one bounty on his head, and is wanted by a notorious Orion villain, Zaddo Natale. The first story was a joy to write. it came about quite easily and was written in short order. Firstly, it was a focused story with a very simple plot and of course was heavy on action rather than exposition. That said, the story had certain challenges. It was serving as an introduction to the ship and crew, whilst killing a number off in quick order before we even got to know the characters. That meant the focus had to remain on Beks and on Jodhaa. This leant the tale a certain clear sighted vision that helped to create the intensity of their struggle as the action was so focused on these two women. It certainly was a bit of a departure for me in terms of the fact I usually lean towards larger ensemble casts. However, from the outset, that was always going to be a goal and purpose of the Étoile Cheval, to tell a smaller framed story with a more intimate setting. Another challenge in writing the story was the fact that one of the main characters was not one of my own. Jodhaa Rin is actually the creation of CamPSD. There was certainly a degree of wariness taking on another person’s character and treating them correctly, especially since Jodhaa was a character only in her infancy and I did not want to derail or defame the character any. 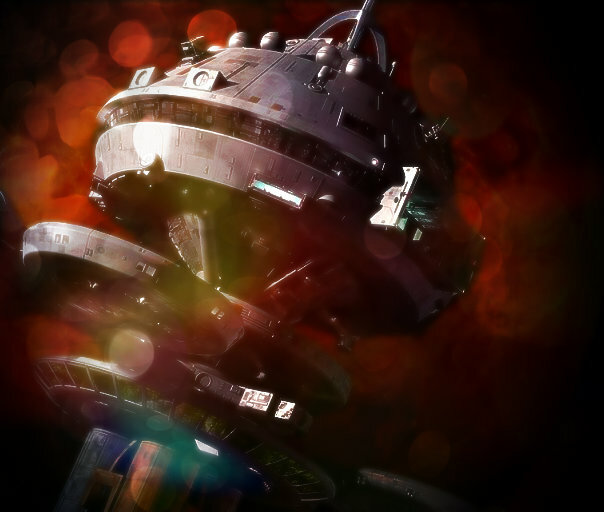 But, it was also a fantastic opportunity to make use of the expanded universe of the shared Eleventh Fleet universe to make for a richer background for the characters involved. Certainly, the writing of Dead or Alive and the inclusion of Jodhaa was one of the high points of that shared universe experience. 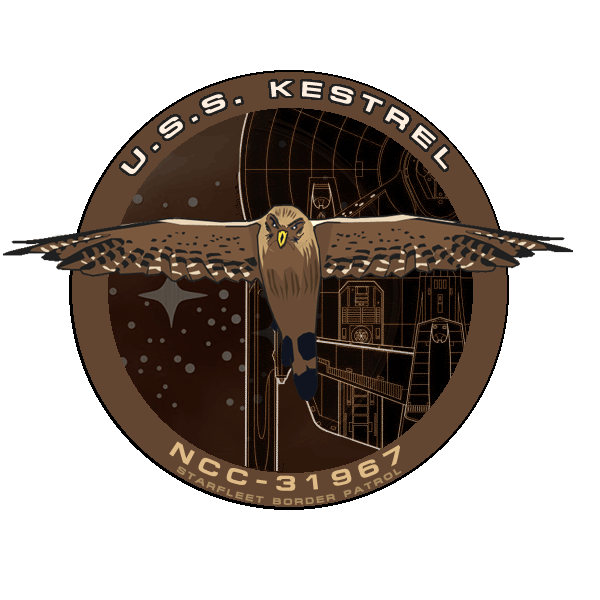 The idea simply behind the Étoile Cheval and why I had to create yet another ship and cast of characters was my desire to explore a different aspect of Trek and of course of my Watchtower Universe. With the Rhapsody Rabbit Gavilán I was having the fun of exploring a civilian ship getting into all manner of scrapes and adventures but there was also the roguish, slightly criminal element or at the least the possibility of criminality to Tabatha Chase. With the Étoile, I wanted the chance to explore the civilian side but from a more good side of the law perspective. Where the Rabbit would get into trouble by virtue of its misadventures (and Tabatha’s penchant for finding it) the Étoile would be seeking to find and catch the bad guy. 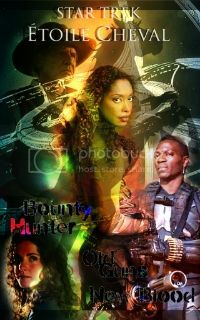 The notion of a bounty hunter came to mind. I had thought about a sheriff based series set on a colony world. But a space faring bounty hunter was the notion that tugged at my muse’s collar and that’s the direction I took. In deciding I wanted to write a bounty hunter, I realised I wanted someone different in conception to Tabatha Chase. Where Tabatha is loud and quick to shoot first, run, smile and offer a smart return before even the notion of asking a question would come into her mind, I wanted for my bounty hunter someone far more cautious and reserved. Cool. Calm. Collected. Serious. No nonsense. Focused. Beks would exude a quiet inner drive and a strong mentality. Her movements and words are tightly controlled and economical. She reserves her fire and determination for a fight but Beks believes a fight can more often than not be avoided. She believes smart moves, good planning and a degree of strategy and foresight is the best means of defence and attack. Luck does not factor as a factor. Beks is also fervent in her quest for justice. This stems from the murder of her own parents. She saw justice could not be got because of corrupt officials on her homeworld. So she opted to seek justice. However, her quest is tempered by smarts and a real sense of justice. She did not – does not seek blind revenge. Her background also lends Beks her insular perspective, it makes her wary of big organisations such as Starfleet and makes her feel her work as a bounty hunter is vital and important to bringing justice to the often otherwise unjust borderlands. She’s at heart, a border gal. Meaning she knows the way of things out on the edge but it sets her apart being so keen to keep the letter of the law. One person can make a difference. One criminal put behind bars at a time. With a clear conscience, the rich potential for Beks in story telling circumstances will be testing her morals, pitting her against bad guys not simply enough to sustain a series of stories. Instead, the quandary of who she serves and what is true justice, especially in a myriad of jurisdictions and political strife. This will become clear in Old Guns, New Blood, the second tale of the Étoile Cheval. 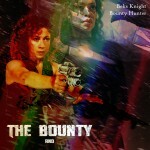 In this story, we see that Beks has given up the life of a Bounty Hunter after the events of Dead or Alive. However, a mysterious Bajoran operative turns up seeking to employ Beks for a bounty, a bounty that relates to a past tragedy in her life. 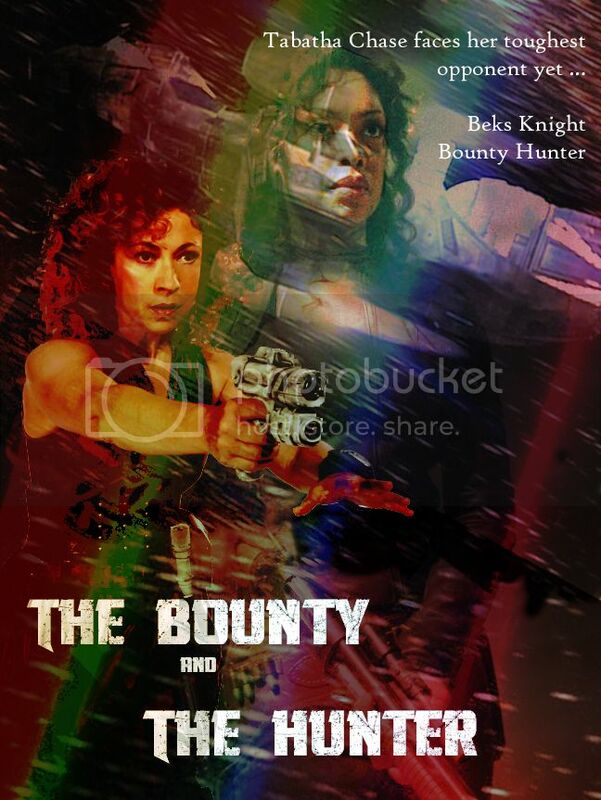 Desperate to escape her life as a bounty hunter, Beks is resistant to the contract. However, events conspire to drag her into the world she is trying to leave behind. Her old mentor shows up – but is his interest justice or revenge? Meantime, her new hands on board are strangers to Beks yet she feels the desire to protect them from her past. And shades of that past are soon revealed or partially hinted at. We learn early on that Beks has past associations with Intelligence. It may be that her work was limited to working for the Border Patrol Intelligence but given the frosty reception towards ‘Dynamite’ Tanner and the fact Watchtower’s Intelligence Chief, Grem’waal, feels he owes Beks a favour, we are inclined to believe that ‘stuff went down’. How clean are Beks’ hands? How clear is her conscience? What to expect of the Étoile Cheval stories? Action, yes but hopefully some morality plays too. The stories by design are supposed to evoke something of a western, hence the homage to old western films and tropes in the story titles. However, as well as difficult bounties to track down, Beks and co. are living in a very different Trek world post Dominion War, were loyalties and former allies may no longer mean the same thing and one time enemies are now in need of help. Into this, Beks may face getting tangled in webs from her past and … the assassin from Dead or Alive remains at large. The hunter is hunting a hunter and a deadly game of cat and mouse it will be. And of course, at some juncture, Beks is going to run across Tabatha Chase. The how and why of it remain to be seen for you dear readers as we see Chase try to wriggle out of that situation – and handcuffs. Again, like the Rhapsody Rabbit Gavilán, the Étoile needed to be non-trek / non-Starfleet yet hopefully still fit within the setting. It had to be civilian in feeling and importantly be small, compact and grungy enough to fit the story telling and small crew focus of the tales. I like to build my worlds in my head so that I at least can picture it. For readers it can help sometimes to use something visual they can relate to and it helped me to flesh out the ship unfamiliar to Trek audiences if I could draw upon other sources. Therefore, as I said before in the best tradition of creativity, I stole ship designs from other popular science fiction settings. This time round, the Étoile Cheval came directly from the Firefly universe and based on its Serenity. 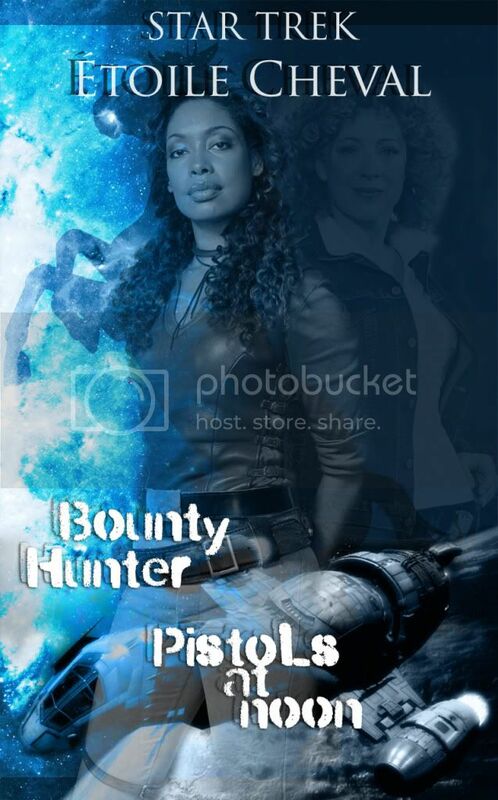 And in an ideal world, I rather imagine Beks portrayed by Gina Torres (hey if I’m gonna raid Firefly, raid the best bits). I imagined then this grungy small ship. Quite weathered, old and a bit of a cast off in terms of the more modern vessels. This image was what fitted in my head to fit with the almost Western feel about the series in tone and vision. Beks Knight is like a marshal hunting down her bounties and the Étoile is her faithful steed and home. 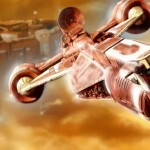 Therefore, it needed to have character and provide a suitable setting for any space bound action. Again, the lived in feel of the Serenity on the Firefly series offered to me the best idea of what I wanted. Length: 269 ft. 3 in. Length: 261 ft. 1 in. Width: 68 ft. 10 in. Height: 74 ft. 5 in. Length: 62 ft. 8 in. Width: 28 ft. 4 in. Height: 29 ft. 6 in. 1. Through the personnel door set in the cargo door when up. 2. Through the cargo door when down. 3. Dorsal EVA hatch over galley (access through small room on port/aft corner of galley). 4. EVA hatch accessed at middeck from the catwalk level, port and starboard. 5. Under nose EVA hatch (down stairs from bridge, open the floor hatch to the airlock, climb down ladder, close up the floor, use the EVA door). 6. Emergency dorsal EVA hatch above foreward walkway. (wall ladder up from the stairwell at the aft end of the foreward hallway). 7. Ventral “bomb bay” doors in cargo hold. (Airlock isn’t really humanoid-oriented). 8. Shuttle airlocks, port and starboard. 1. The Va’leh-class MBT can carry a secondary cargo module which attaches directly ventral to the main cargo hold. When attached, it is typically accessed through the bomb bay doors. 2. A Trace Compression Drive’s main feature is a rotary engine block. The engine block (or main reactor) must be continuously rotating in order to generate power for all the ship’s systems; if any of the necessary components of the block fail, the block will not rotate and thus cannot generate power. 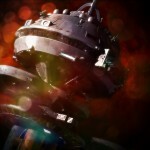 Without a back-up generator system, all ship’s functions, including life support, would fail within hours. 3. 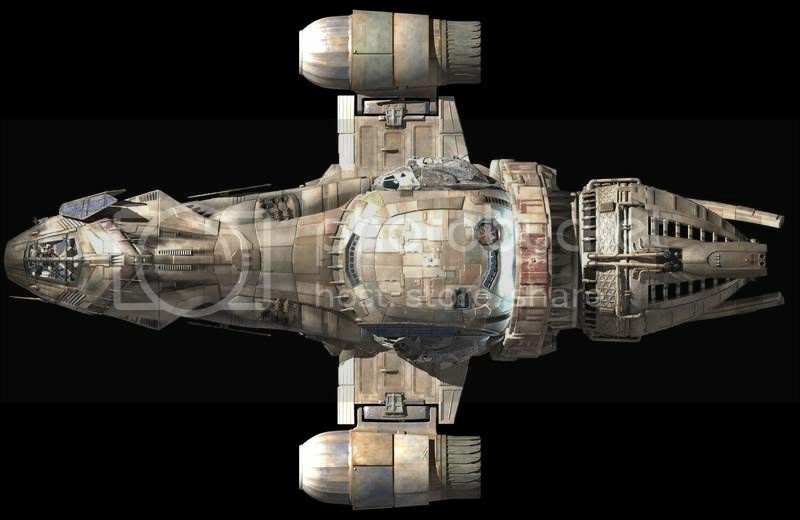 Series 1 through 3 of the Va’leh-class were built standard with navigational deflectors only. The Series 3 is capable of having her shield systems upgraded to full defensive shields. Series 1 through 3 are also unarmed, though private owners have been known to add weapons systems such as particle beam emitters, phasers, disruptors, and missile launchers. This information was taken from the Official Serenity Blueprints produced by Quantum Mechanix, and were Trekified by CamSPD and Miranda Fave.